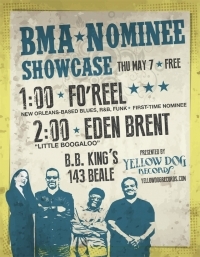 Coming to Memphis for the Blues Music Awards this week? Please join us for a showcase of two exceptional nominees on Thursday afternoon, before the big Awards event later that evening. 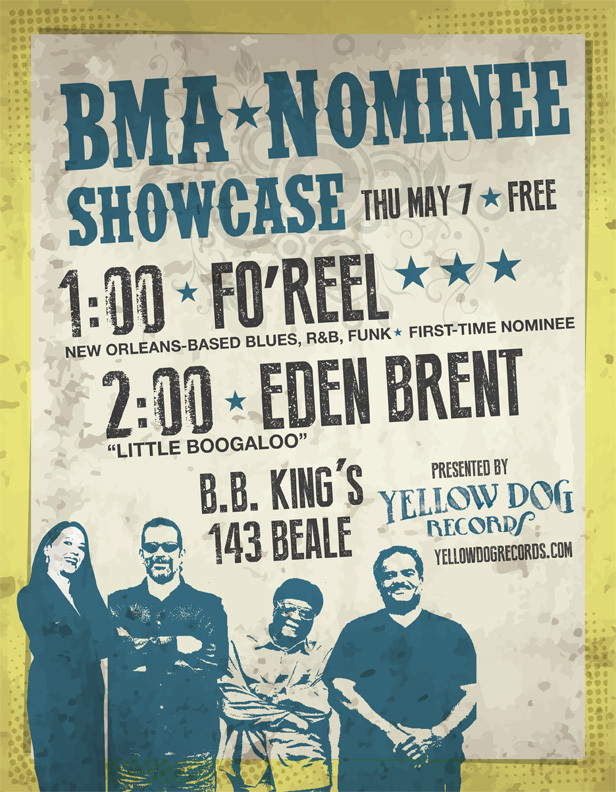 Our friends from Fo’Reel will kick things off at 1:00pm with their funky mix of New Orleans Blues and R&B. They’ll be featuring songs from their debut album Heavy Water, nominated for Best New Artist Album in this year’s awards. At 2:00pm, our own “Little Boogaloo”, Eden Brent, will demonstrate why she’s been nominated eleven times for Blues Music Awards, this year for Pinetop Perkins Piano Player of the Year and Acoustic Album of the Year. Eden is always a crowd favorite and she’s looking forward to catching up with all her out-of-town friends. It all goes down at BB King’s at 143 Beale Street. It’s free and open to the public so please stop by, say hello, and enjoy the music!